While a staple for hearty roast dinners and elegant dinner party menus, lamb is too often left out of the mid-week meal roster. In part, this is no doubt due to a common misconception that the meat is difficult to prepare (indeed, it can suffer the same fate of overcooking that so often befalls fish) but this certainly isn't the case. As this collection of easy lamb recipes demonstrates, it's well worth facing your fears and embracing lamb as the new star of your fuss-free dinners. 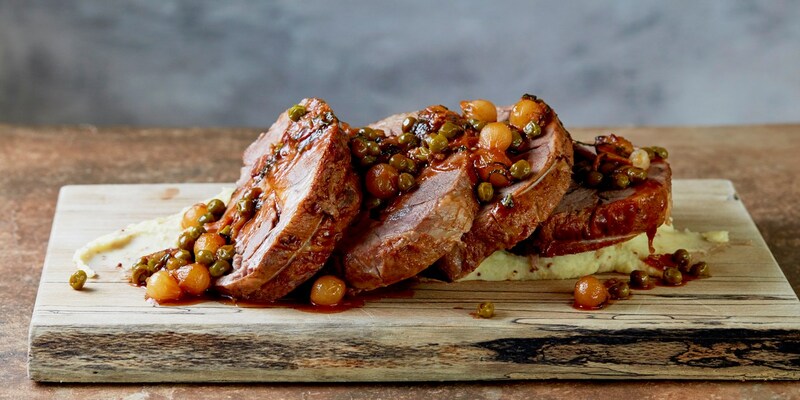 Learn how to cook lamb to perfection with Shaun Rankin's roast lamb recipe – a celebration of spring with minted Jersey Royal potatoes – or try Steven Doherty's slow cooked lamb recipe with peas and bacon for a meltingly tender dish. Alfred Prasad's Lamb wrap with red pepper sauce makes the perfect portable snack, while for a quick 'fakeaway' meal Karen Burns Booth's Quick Mongolian lamb curry recipe is hard to beat.